December is here and that means that Christmas is getting closer! 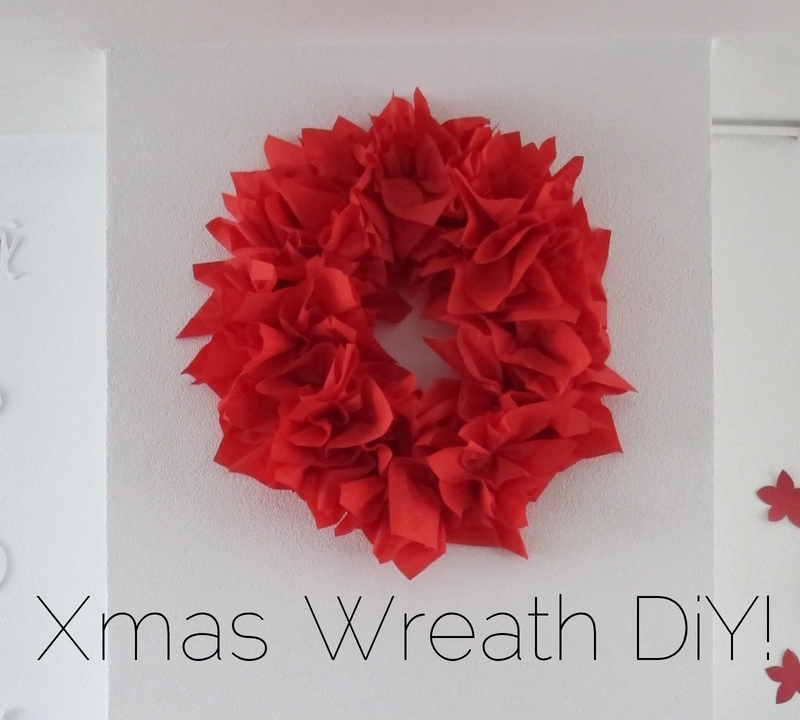 So we thought it would be fantastic to share a Christmas DiY with you. This time is really simple (I promise). It won’t take long and the final result is astonishing! If you want to create a Christmas ambiance in less than half an hour, this is your tutorial. Come and join us! Are you ready? Let’s get started! 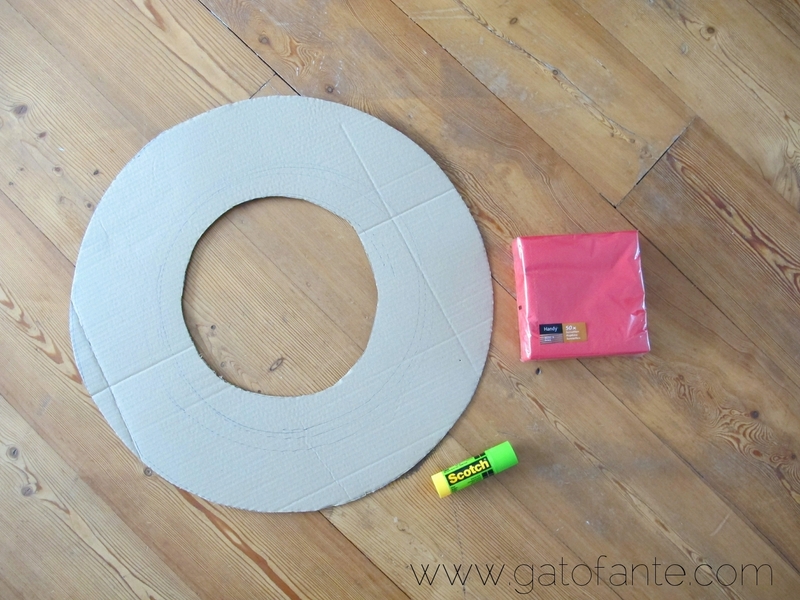 We need to get a ‘doughnut’ shape out of the cardboard (as you can see in the picture above). This will be the base of our wreath. 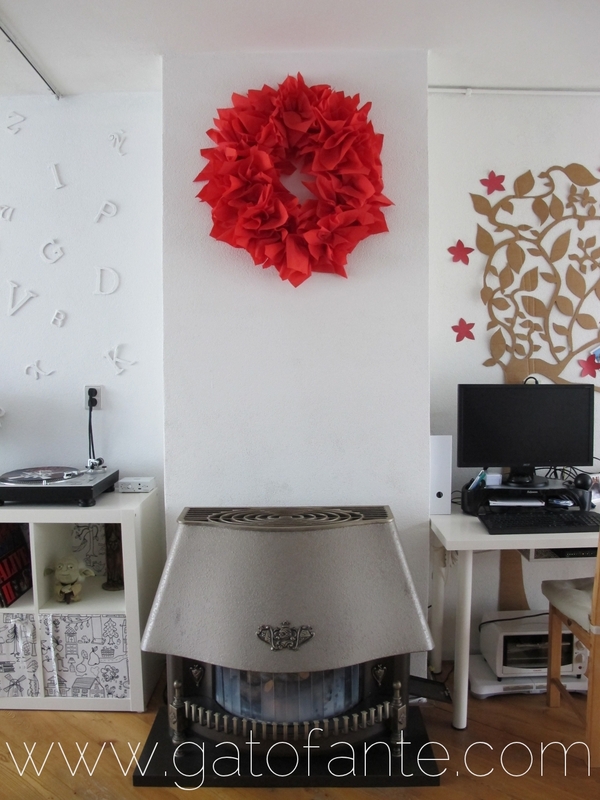 The big diameter of mine was 57cm, and the small one was 28cm (but it’s up to you, this will be your wreath!). Don’t worry if it’s not perfectly circular, it’s just the base and it will be hidden. And repeat from step 1 to 12 until our ‘doughnut’ is completely covered (if there’re some empty spaces, you can open slightly the flowers to cover them). And… Voilà! Your lovely Christmas wreath is ready to hang! 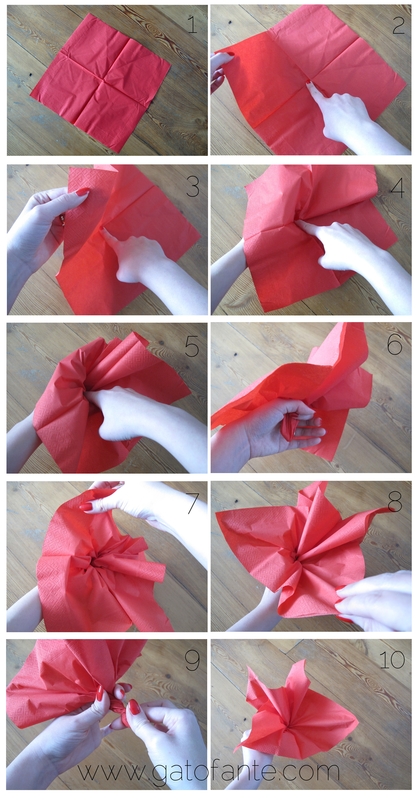 I like the simplicity of this red wreath, but if you want to, you can add some details as a bow, tree decorations… change the color of the napkins, or… whatever your imagination tells you. Feel free to explore! Well it was very easy, wasn’t it? We hope you’ve liked it. If you make your own, please share! We want to see it! And if you have ANY questions, ask!